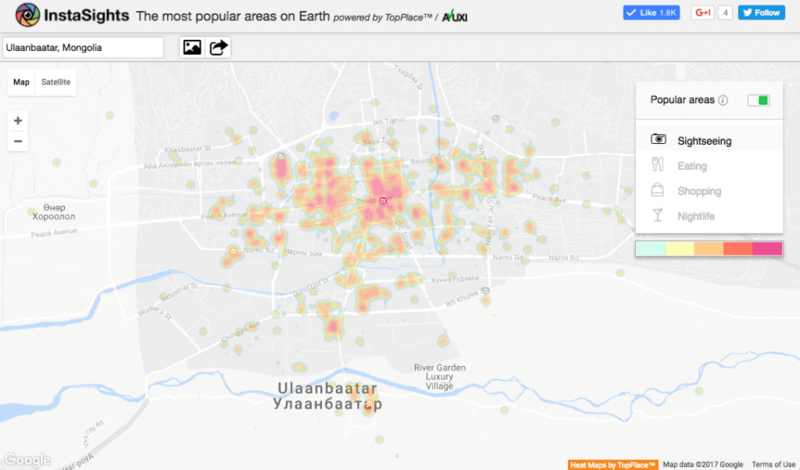 We are glad to announce the availability of our new version of TopPlace Heat Maps. The newest version uses 5 times more data than the previous version, which results in more detailed worldwide coverage. The heat maps show the most loved areas for main traveler activities like Eating, Nightlife, Shopping and Sightseeing in any place on the planet (also known as Areas of Interest). 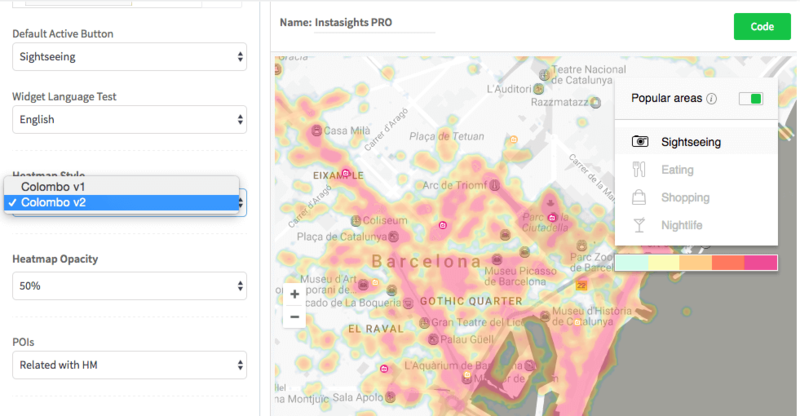 TopPlace Heat Maps showing the most loved Sightseeing spots worldwide. To switch from the previous version all you need to do is to select a style marked as “v2” from the “Heatmap Style” dropdown menu in the Dashboard and then save the setting (see screenshot below). There’s no need to change the code in your pages. Changing TopPlace Heat Maps style from v1 to v2. In case you haven’t done it yet, you can now sign up for a free account and start using TopPlace. We will soon release a new, vector based heat maps version. Stay tuned!